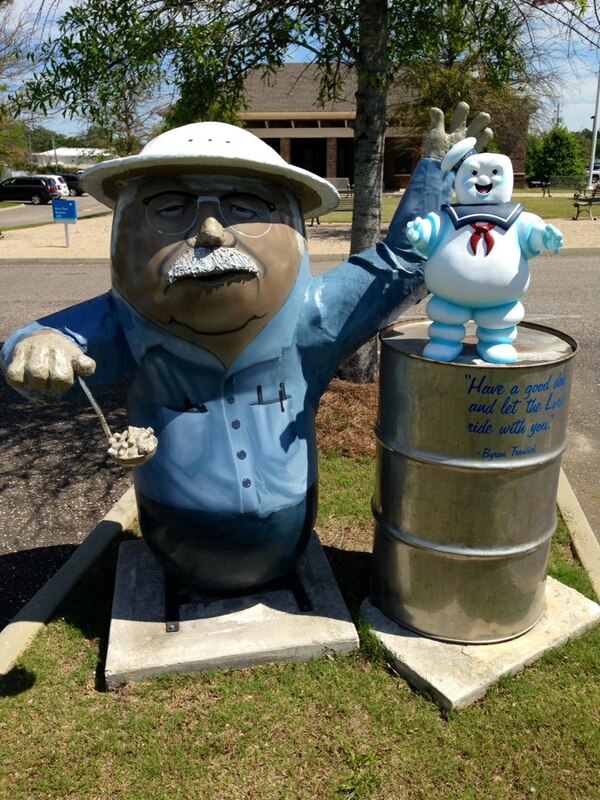 We asked you to shoot your 24-inch Stay Puft Marshmallow Man bank somewhere near where you live, and now we’re ready to choose the winner for the month of May! It’s Jon Tilson of Alabama, who shot his Stay-Puft in the center of Dothan, AL, the peanut capital of the world! 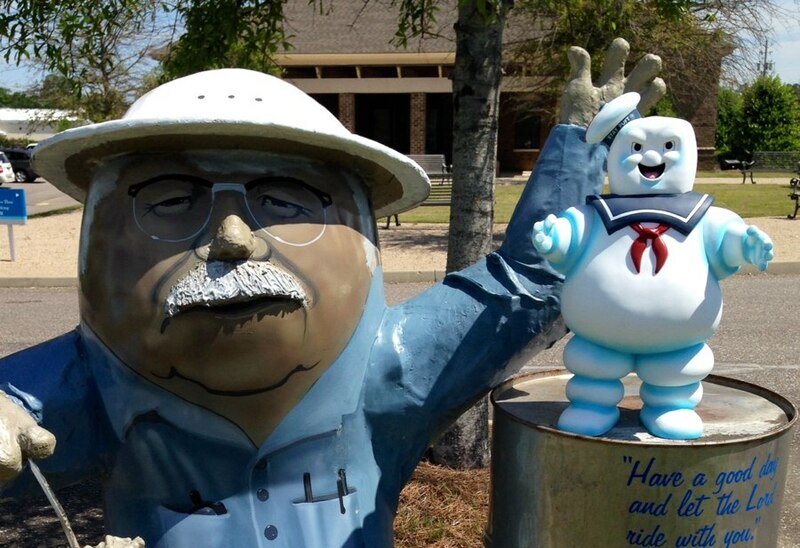 Mr. Stay Puft seems to have found an ally in the giant, peanut character who serves up his own kind. Who knew marshmallows and peanuts would get along so well! Jon will get $200 worth of DST prizes, including a Godzilla bank, a Knight Rider vehicle, an Amazing Spider-Man movie bust, and a variety of Ghostbusters items, including a Slimer bank, Slimer gelatin mold and a Ghostbusters Silicone Tray! Look for your box in the mail, Jon! But the contest isn’t over! We’ll pick a new winner every month for the rest of the year, so keep sending in your photos! Got an idea for where to shoot your Marshmallow Man near your hometown? Check out the rules below, submit your photo and we’ll pick the next winner in early July! Here’s what you do: Simply photograph your 24-inch Mr. Stay-Puft (either good or evil variety) somewhere near where you live. It could be the beach, the forest, the desert, the mountains, a city street, or even in front of a sign welcoming people to your town — we just want to see where Mr. Stay-Puft has been! 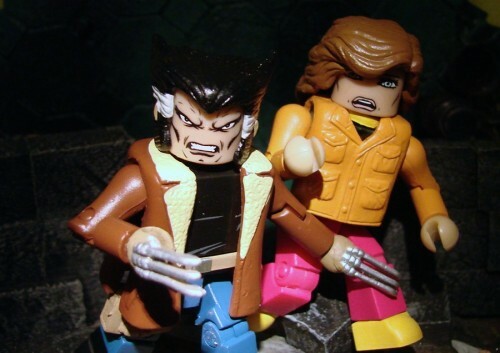 Send the picture off to collectdst@gmail.com, and each month we’ll post a new batch of pictures on our Facebook page. One of the pictures we post will be randomly chosen to win that month’s prize! Prize packages will include $200 worth of toys and collectibles from DST! Next Up: Diamond Select Toys Announces Exclusive Products for SDCC 2014!